Yes, logistics and transportation industries will need to part from their old ways to stay relevant and competitive. No, it won’t only be just about fancy autonomous vehicles. The following is a first-hand account of the lessons Opus9 learned in building a modern brokerage. The opinions expressed here are solely those of the author and do not necessarily represent the views of FreightWaves. Shipping industry corporate executives largely agree that profound transformations are coming. Be it via machine learning, blockchain, or AI, with some IoT mixed in, supply chain innovators are racing to find the proper combination of these technologies to script the end game. However, the story telling us where those transformations will occur first is largely untold. Sure, full digital automation of shipping processes is on its way, but what are the intermediary steps leading us there? It’s easy to be impressed by technical publications parading how modern, almost futuristic, transportation has become. Some would make you believe freight can already fly on its own at the stroke of a wand from one place to the other. It’s only when you are confronted with the realities of the field that you realize how low-tech the process still remains. And, even if autonomous systems tend to take center stage, a great portion of the automation may not even come from frontier technologies. What are the pain points we’re trying to solve here? In order to take step 1 towards the promise of this transformation, a company needs to truly live the day to day of how it currently works. At Opus9, we did exactly that - we started shipping freight manually and digging into our own operations. During the time our company operated as a traditional brokerage firm, we witnessed and experienced every broker-sided inefficiency along the customer journey as well as client-sided issues with shipping and trucking of goods. And trust me, there are plenty of them. Time is money they say, so let’s talk about that first. It takes up to six weeks from a truckload or LTL quote to when payment is processed using the traditional shipping method. One of the main reasons? The key actors in the shipping industry (shippers, carriers, brokers) rely heavily on paperwork. A lot of documents are circulating from one stakeholder to another and through various means. From the initial spreadsheet referencing the types of goods, pick-up and delivery locations and dates to quotes, to the bill of lading, and finally to the proof of delivery, those documents which sometimes only exist as hard copies are emailed at best, faxed at worst, and wasting time and efficiency always. Like the travel industry 10 years ago, shipping is based on intermediaries, brokers, forwarders and agents that negotiate prices verbally (mostly over the phone) with carriers and shippers before sending written confirmations through email or fax. The back and forth between the shipper, brokers, and the different carriers the broker will have contacted, is very time consuming. If we take a look at the traditional booking process, it takes between 12 and 24 hours to obtain a quote from a carrier and between 24 and 48 hours to get an actual booking confirmation. In most cases, once the shipment is on its way, there is no way for the shipper to monitor it. Typically, the broker will ask the carrier company to provide the truck driver’s location as a check call. Check calls are perceived as part of the service but with companies now utilizing GPS tracking systems, and ELD being the norm, manual attempts to solve the issue of real-time tracking should all but disappear. 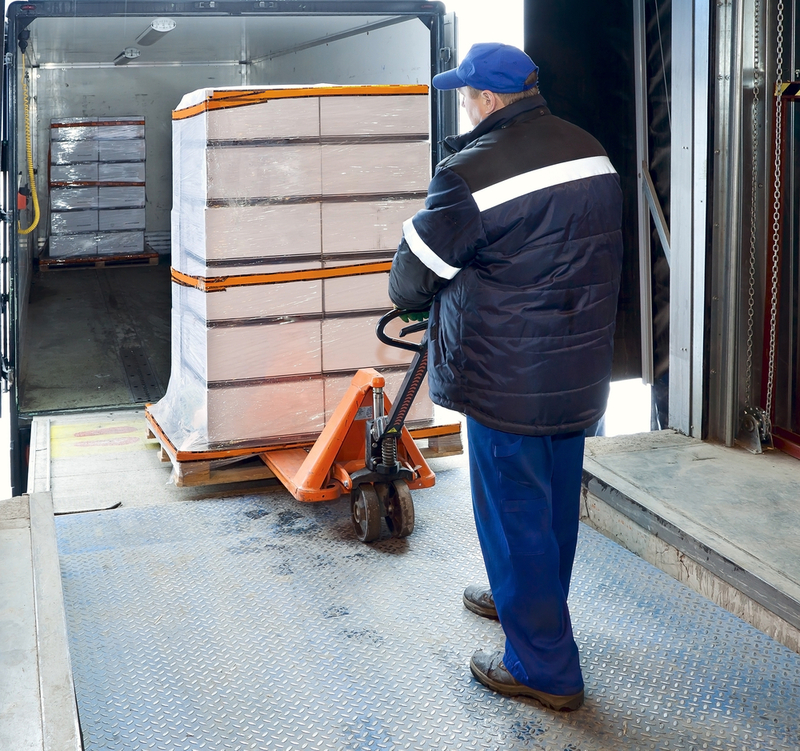 Still a pain point for a large portion of shippers, many companies are being built around this specific focus, but ultimately lose sight of the automation opportunities either side of the simple in-transit status updates and alerts. Pricing-wise, the traditional brokerage model tremendously lacks transparency. Accessorial costs (toll fees, extra governmental fees, etc. that can represent sometimes about 20% of the total cost) are not generally mentioned upfront during the negotiation and are likely to appear later. In addition, the broker’s mark-up rationale isn’t always clear, and fees often are tacked on days, or weeks after proof of delivery. Finally, there are the traditional latencies in payment, which makes it hard to understand cash flows for all parties involved. When carrier companies issue an invoice to a broker, terms of payment are usually between 30 to 45 days, and the timing isn’t getting better. Some shippers are now asking for as much as 120 days. Across 12 months of operations as a traditional 3PL, we analyzed and discovered which pieces of the puzzle to automate in order to optimize the shipping experience and reduce friction for each stakeholder involved in the process. Since shippers traditionally build a trustworthy relationship with a broker, we built a user-friendly, customer-centric quoting, booking and process flow. We learned to measure the importance of the individual steps in the process, and how each component can play in the industry’s dynamics. Automated notifications, in shipment-chat, and alerts allow shippers to ship freight in an automated manner ‘Lights Out’ end to end and access our operations staff only when critical issues arise. To circle back on the travel industry analogy, people used to love calling a travel agent to plan and book their next exotic trip. Eventually the industry shifted to automation, to a level whereby most of us do not think twice about booking our next travel without any human interaction. As we continue to evolve automation leveraging additional technologies, we will continue to provide a true chapter by chapter story of digital transformation.